KANSAS CITY, MO -- A 24-year-old mother is in custody Saturday after her two young children were found barefoot, dirty and living in a wooden shipping crate in an underground cave on the eastern edge of Kansas City, Missouri. 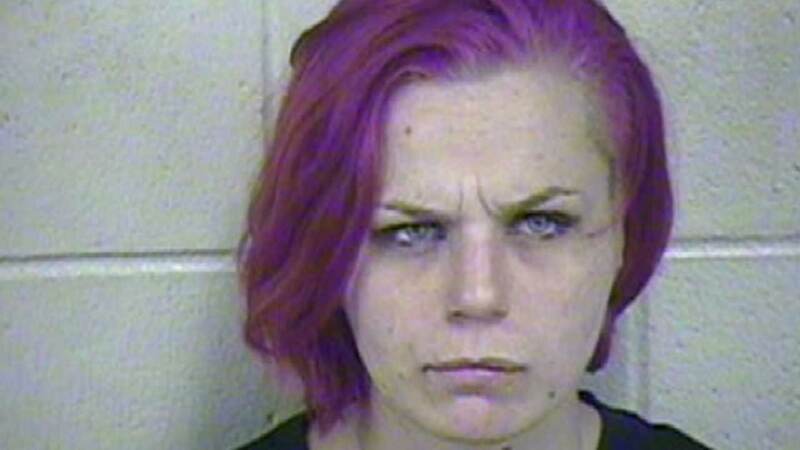 Brittany Mugrauer was charged Friday night with two counts of felony child endangerment. Jackson County detectives discovered the 4- and 6-year-old children Thursday in the 8-by-10-foot crate furnished with vehicle bench seats, two small blankets, trash and thin wires. According to the probable cause statement, the crate was missing one side and surrounded by car parts and vehicles in various states of disrepair. The investigators, who went to the cave to serve a search warrant related to a possible stolen car operation, noted that the children did not appear frightened by them or the fact that they were alone. The 4-year-old child was eating a dirty, dry cup of ramen noodles with their hands, a detective wrote. When asked why they weren't wearing any shoes, the children responded that they didn't have any. The older child told officers he should be in first grade but did not go to school. The children were taken to Children's Mercy Hospital where they were evaluated, bathed and given clean clothes. Mugrauer told investigators that her children had been living in the cave for several days and acknowledged leaving them there alone, the probable cause statement says. She was taken into custody Friday afternoon and has not yet appeared in court. A spokesman for the Jackson County prosecutor's office said Saturday that he didn't think Mugrauer has an attorney. The extensive network of caves is the product of massive limestone mining in the late 1800s and early 1900s. Years after the mining operations ceased, companies started finding ways to use the millions of square feet of abandoned underground space. The caves house hundreds of businesses, many of which specialize in storage or warehousing because they are protected from extreme weather and have year-round temperatures of around 70 degrees. The officers were down there investigating a possible chop shop, where stolen vehicles are dismantled so that the parts can be sold or used to repair other stolen vehicles. Many of the caves feature paved roads, utilities and developed business space, while others, such as the one where the children were found, consist of dirt floors and uncontrolled entrances. A spokesman for the Jackson County Sheriff's Office declined to provide additional details about conditions inside the cave or the health of the children.